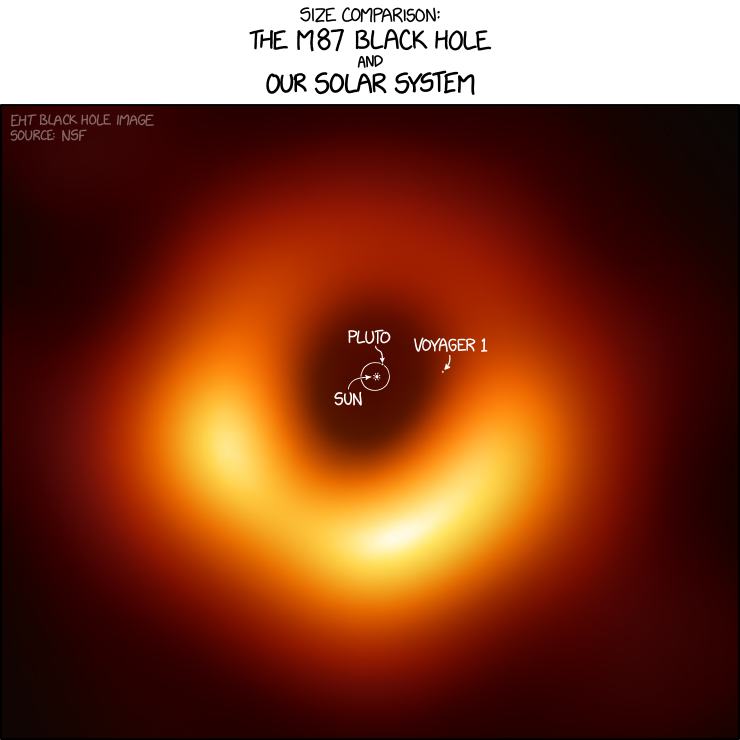 But did you take note of the scale of the thing? What I found to be even cooler, is the sheer amount of hard-core sciencing that went into producing that picture. 8 radio telescopes from all over the world, observing at the same time. And "same time" not being same time as you and me know it. No, this was "same time" coordinated by the most precise clocks humanity can produce (the kind that lose only about 1 second every 100 million years!). And the amount of data needed to produce a picture? 5PB! That's petabytes, 5000 terabytes. And they had to wait 6 months for all the data, because the observatory at the Antarctica could only deliver the data after the 6-month winter has passed. And in the picture, dr.Katie Bouman, the author of the algorithm that crunched the data and spat out the pixels. 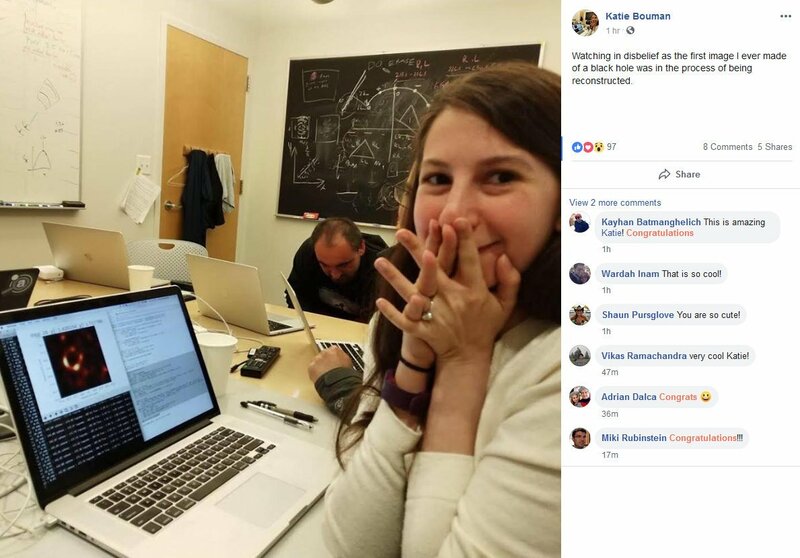 dr.Katie, more than three years into the project, and seconds after becoming the first human being EVER to see a black hole! Pat yourself on the back, everyone. We belong to a species that can do great things, too! honoured with embellishments, is one of the chant’s descriptions of po, The Honolulu Star-Advertiser reported. Read that in the Guardian UK. Katie and all scientists involved globally have done a tremendous job. I find all of this very inspiring. The political news these days is so consistently depressing that I think we all feel good about the latest scientific achievements, even if we don't fully grasp their significance. It's perplexing that humans can be so smart and so dumb simultaneously.